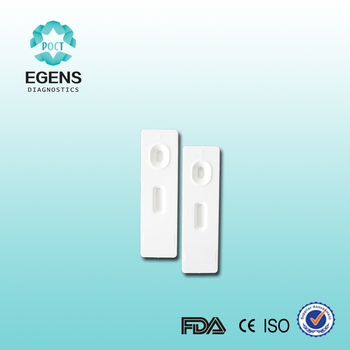 The One Step FSH Test is a chromatographic immunoassay in-vitro diagnostic test for the qualitative detection.It adopts the principles of double antibody sandwich method to test the FSH in the urine. 1. Fresh urine does not require any special handing or pretreatment. 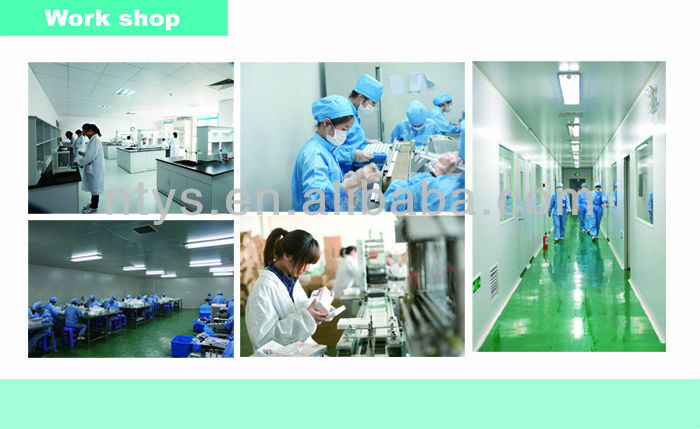 Testing should be performed as soon as possible after the specimen collection, preferably during the same day. 2. The specimen may be refrigerated at 2-8°C for 3 days or frozen at -20°C for a longer period of time. Specimens that have been refrigerated must be equilibrated to room temperature prior to testing. Specimens previously frozen must be thawed, equilibrated to room temperature, and mixed thoroughly prior to testing. 1. To begin testing, open the sealed pouch by tearing along the notch. Remove test kit from the pouch. 2. Hold the round end of cover with one hand. Use the other hand to pull out the test device and the expose the absorbent. 3. Point the absorbent tip downward, place the absorbent tip in urine stream for at least 10 seconds to be thoroughly wet. Otherwise, you can collect your urine into a clean cup, and dip half of the absorbent pad into the urine for at least 10 seconds. 4. Re-cap the device and wait for color band to appear. Read results within 5 minutes. Negative: One pink/purple band forms in the control region; no band is found in the test region, or the color of the test band is less intense than that of the control/reference band. Positive: Two pink/purple bands form, and the color of the test band is equal to or more intense than that of the control/reference band. Invalid: If there is no pink/purple band in the control region, the test result is invalid. Retest the sample using a new device. 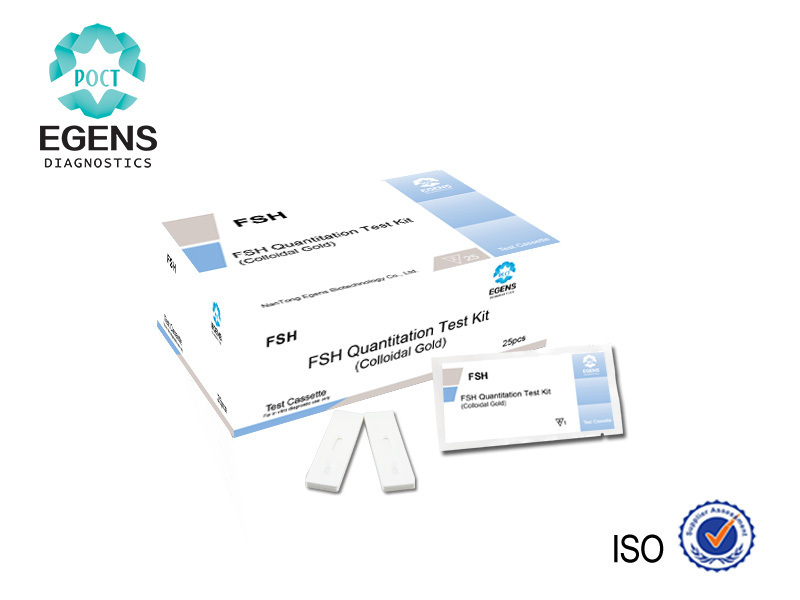 The test kit can be stored at room temperature (2 to 30°C) in the sealed pouch for duration of shelf life. 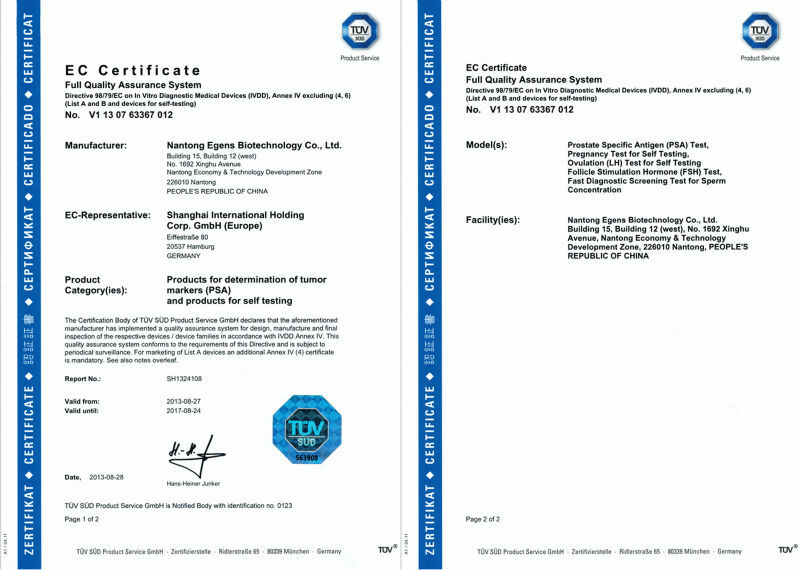 The test kits should be kept away from direct sunlight, moisture and heat. 1. 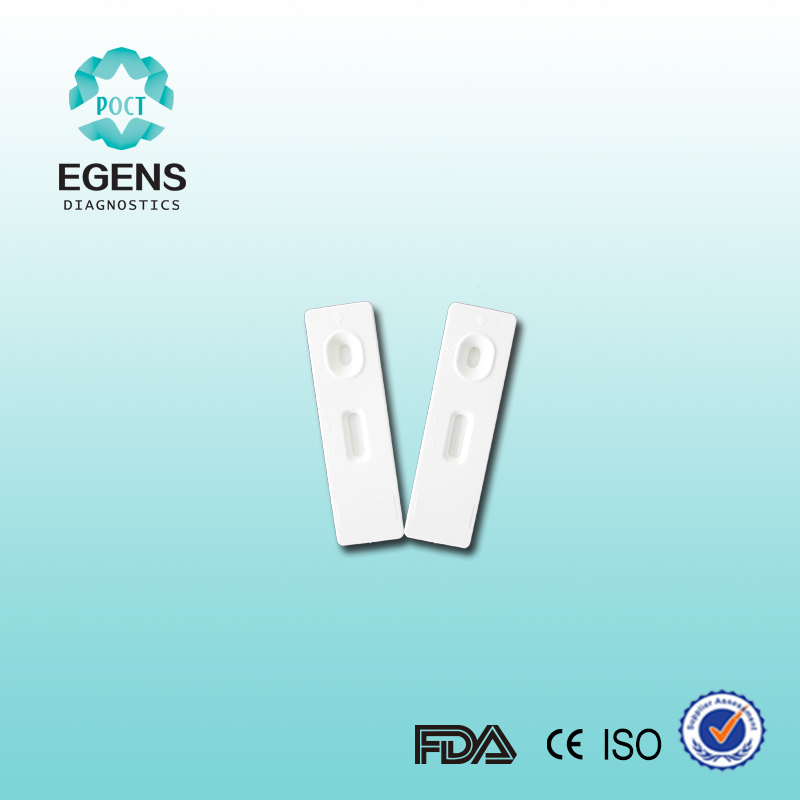 For the vitro diagnostic use only. 2. 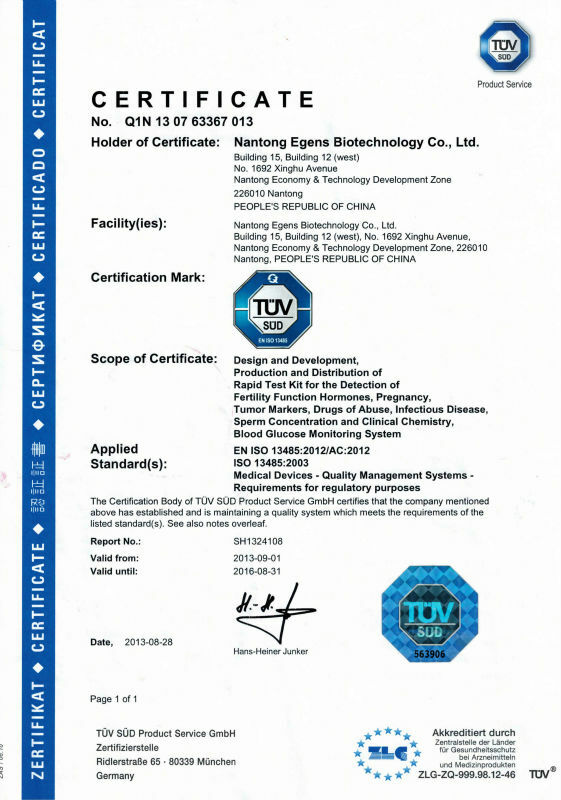 Do not sue test kit beyond expiry date.